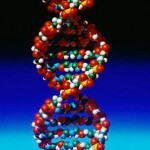 DNA Fragrances has made the bold claim that they are able to create fragrances based on human DNA. While the company has created fragrances based on the DNA of Elvis Presley, Napoleon Bonaparte and Marilyn Monroe their latest creation of Michael Jackson perfume is catching them the most notoriety. The company is not releasing information about how the scents are created or in what way the unique genetic encoding of DNA is used to inspire them.